Marchon3D and UltraStar Cinemas have teamed up to create the first in-theater, self-service vending machine for Marchon3D’s patented 3D glasses. Marchon3D, the premier designer and supplier of the most technologically-advanced, circular polarized 3D eyewear on the market, has created an innovative custom vending machine for theater-goers. 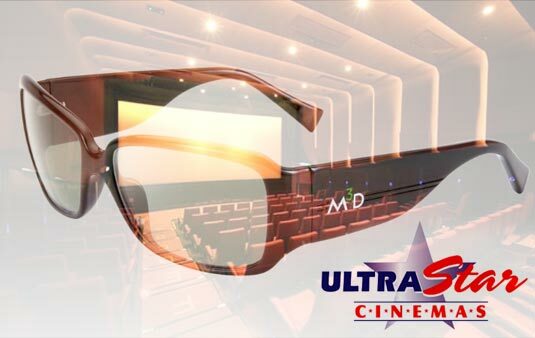 Beginning in the summer 2011 – just in time for the summer blockbuster season – 3D movie-goers in San Diego will be able to purchase the newly released line of EX3D glasses with patented M3D lens technology in the UltraStar Mission Valley Cinemas. This state-of-the-art vending machine will have a sleek digital interface and be extremely user friendly, allowing consumers to browse and select from a wide assortment of EX3D glasses, pay with a quick swipe of their credit card and then take their seat to enjoy the show! Movie fans can choose from adult, tween and children’s sizes in a variety of trendy colors and fashionable shapes. Marchon3D will also offer smart solutions for prescription glasses wearers including clip-on lenses that easily work on any prescription frame as well as frames that comfortably fit over the entire prescription frame. Prices will range from $25-$80.